St. Patrick's Day is a weekend long event this year, San Francisco, and we're celebrating it with our legendary Irish Stroll Bar Crawl. 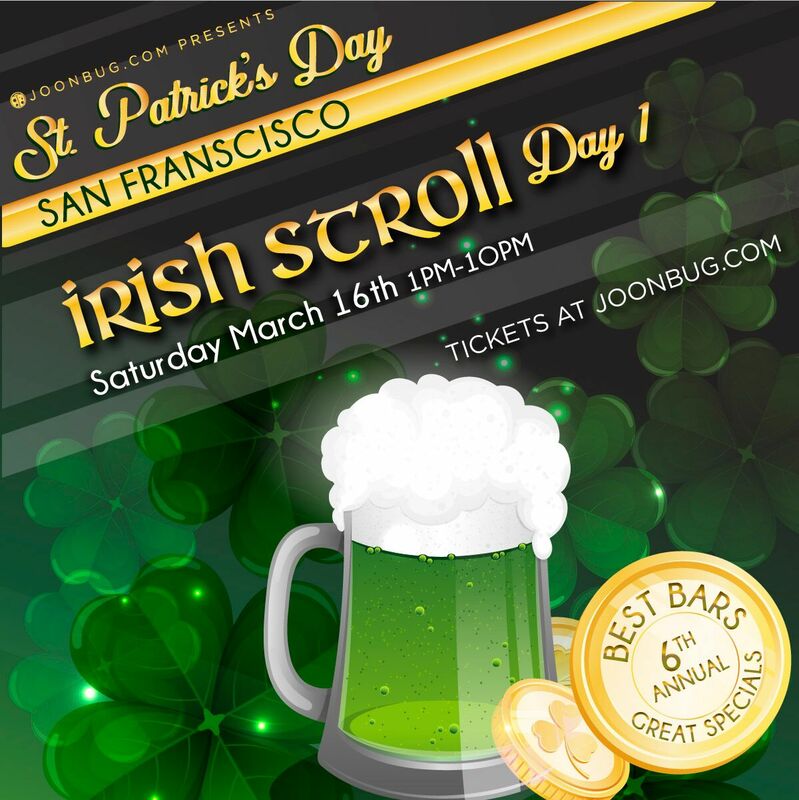 Day One of the Irish Stroll bar crawl takes off on Saturday, March 16th and your wristband opens the doors to your favorite San Fran watering holes without a cover charge. Find your gold in a frothy pint of your favorite brew while you cheers to good music and good luck. Make sure you don your best green garb and prepare to soak up a night of spirited revelry and shots of good luck. This is one St. Pat's bar crawl you don't want to miss, San Francisco.